Some stone fruits and melon, but mostly sawdust and oak furniture going towards rancid butter. Again some fruitiness, but it's all buried under massive oak influence. It does have a little vanilla smoothness. Drying with a little bitterness and oak spices (ginger and coconut). Distinct bourbon, pepper, comparatively soft, light honey notes, a little hay? Mackmyra continues to out out great stuff, albeit youthful this is a great dram. I think when some serious age statements come along, Scotland will have a real run on their products. The nose is fragrant, spicy oak, hand lotion and banana puree. Hints of bay leaf and thyme. Smooth creamy porridge underneath. The body is lively and soft at the same time. More oily texture with a subtle sweetness. Polished wood and malt, the spice prickles through. Lots going on. The finish is a little short but rewarding, loads of that creamy malt porridge and hints at clove and mace spices. Red-berry jam. Creamy honey sweetness and a bit of toffee. Smells very delicious for me. And then the banana that I already discovered in the "Bruks Whisky" comes through again. Surprisingly spicy and warm. Less sweet than the nose. For much fruity. A good dose of oak comes through in the end and brings a bit of dark chocolate with a pleasant bitterness. Medium long and pleasantly warm. A nice "Easy-to-Drink" summer whisky for friends of light, fruity and non-smoky drops. 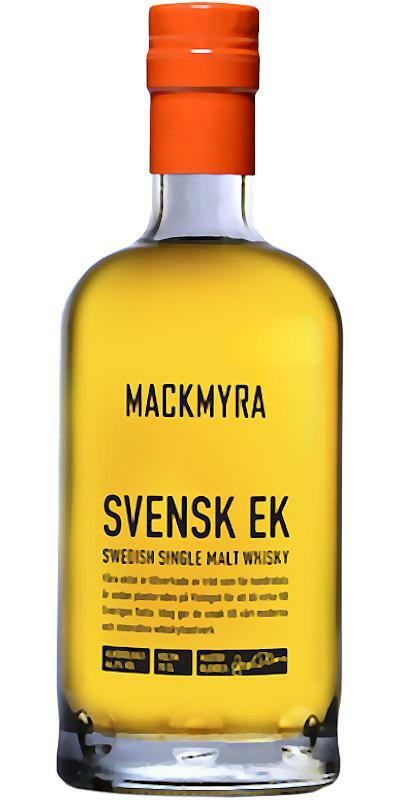 Personally, I lack a bit of body and intensity, but that was certainly not my last Mackmyra. A really good drinkable horizons expansion. The nose is very subtle-light. A nice, but somewhat subdued mix of apple, pear, green tea and lime. In addition, there is subtle hints of mint and after the first sip, some vanilla comes through. The overall impression is very floral, fruity and light at the same time. Nice and very pleasant, because nothing stinging in the nose, but not too complex. It goes on very consistently. Also in terms of taste, the Svensk Ek is a fruity lightweight. He is almost creamy. At first, as the nose can expect, a mix of apple and pear. Afterwards a certain peppery spiciness builds up and almonds and a little vanilla unfold. I want a bit more depth of taste. The finish is relatively short and most strongly influenced by a slightly spicy alcohol, light fruit and a hint of vanilla.